And Don't Forget To Wash Your Balls! Happy Birthday! 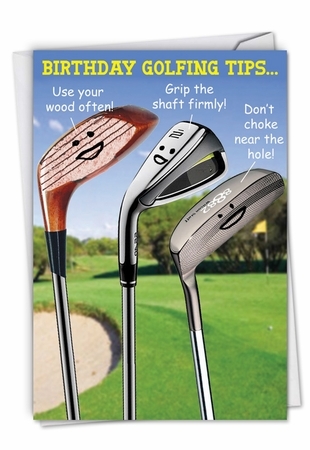 Cover Reads: Birthday Golfing Tips. Use Your Wood Often! Grip The Shaft Firmly! Don't Choke Near The Hole! Inside Reads: And Don't Forget To Wash Your Balls! Happy Birthday!